Java, especially Yogyakarta and central Java is a place full of the temple and archeological sites. One of the sites is Sewu Temple in Prambanan. 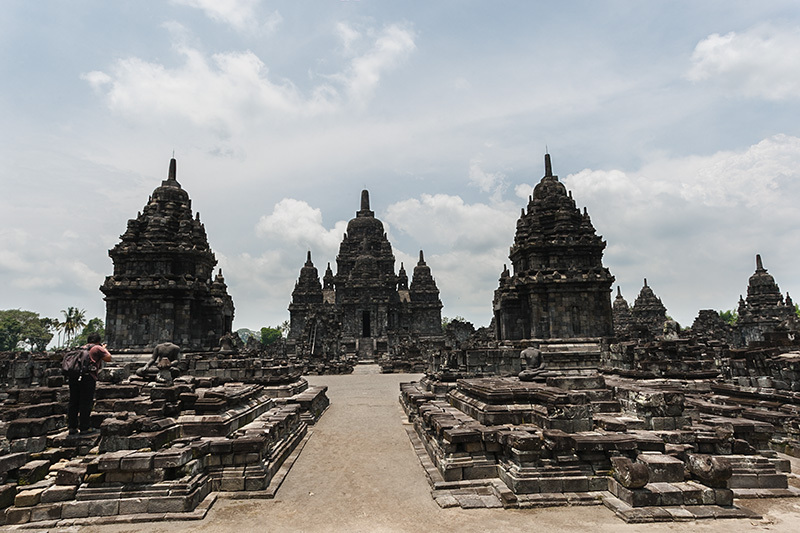 This temple is a Mahayana Buddhist temple that located 800 meters north of Prambanan in Central Java, Indonesia. Sewu temple is the second largest temple complex in Indonesia after the Borobudur temple. This temple named sewu that translated as a thousand, although the complex only consists of 249 temples. This temple name is originated from popular local folklore, “The legend of Roro Jonggrang”. But archeologist believes that the original name for the temple compound to be Manjusrigrha. You may also want to read: Why Everyone Should Visit Yogyakarta Indonesia? Find the answer here! According to the Kelurak inscription and Manjusrigrha inscription, the original name of the temple complex was probably “Manjusri ghra” or translated as “The House of Manjusri”. Manjusri is a Bodhisattva from Mahayana Buddhist teaching that symbolizes the “gentle glory” of transcendent wisdom. This temple was built by the end of the eighth century at the end of Rakai Panangkaran’s reign and was completed during the reign of his successor, King Indra. There also folklore about the origin of Sewu temple that also known as the legend of Roro jonggrang (the exalted virgin). It began when the prince Bandung Bandawasa falls in love with princes Roro Jonggrang the daughter of king Bako whose kingdom was conquered by the Bandawasa’s and the prince also killed the father, king Bako. Knowing that bandawasa was the one who killed his father, she planning on revenge and don’t want to be his bride. When bandung bandawasa propose to her, she gave bandung bandawasa a condition. Bandung Bandawasa should finish a thousand of temples in one night. But she have no intention in marrying Bnadung Bandawasa, after knowing that Bandung Bandawasa have a troops of demons that helping him build the temples, she try to find a way to sabotages the building of the temple. She asked the village women to pound their wooden rice mortar with their pestles and make the rooster mistaken, think that the there are dawn of the day. Hearing the rooster’s crow, the troops fear that the sun is rise and flee before the building is done. It is nearly finish, they just need 1 more temple to finish the tasks from Roro Jonggrang. Knowing that he was tricked by Roro Jonggrang, he was angry and curses the princes and turns her in a stone that you can find in the complex of the temples. 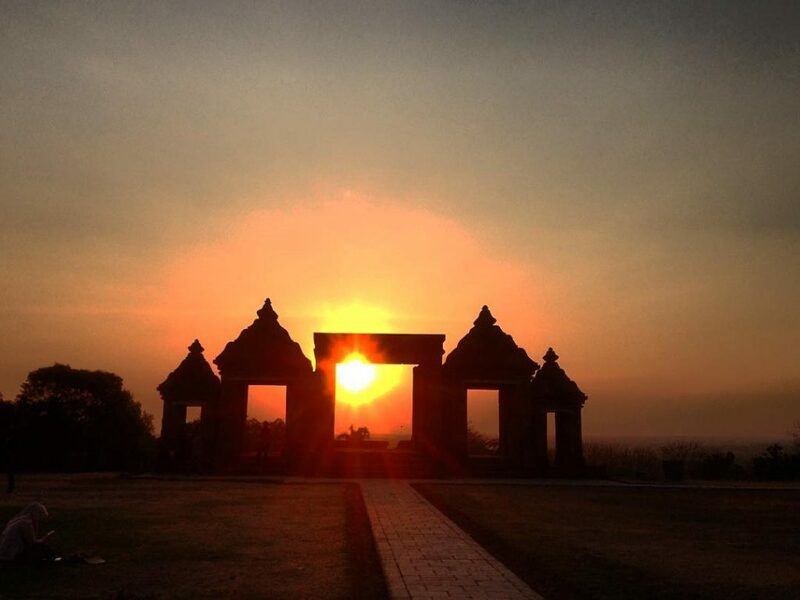 We all know that this temple giving us beautiful scenery and luxurious archeological sites. 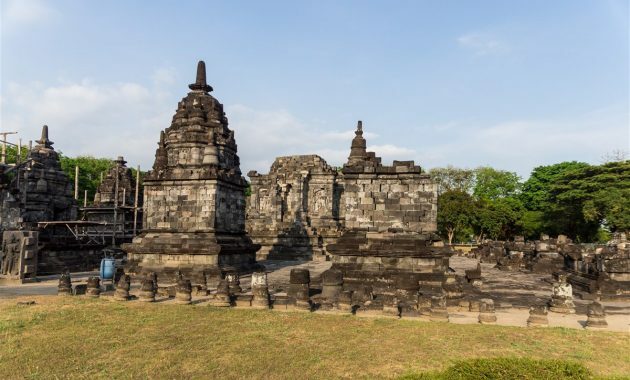 But do you know other things you may do near the sewu temple? Ratu Boko Palace located 3 km from Prambanan. This place is a complex of the palace with a luxurious structure located in a plateau. 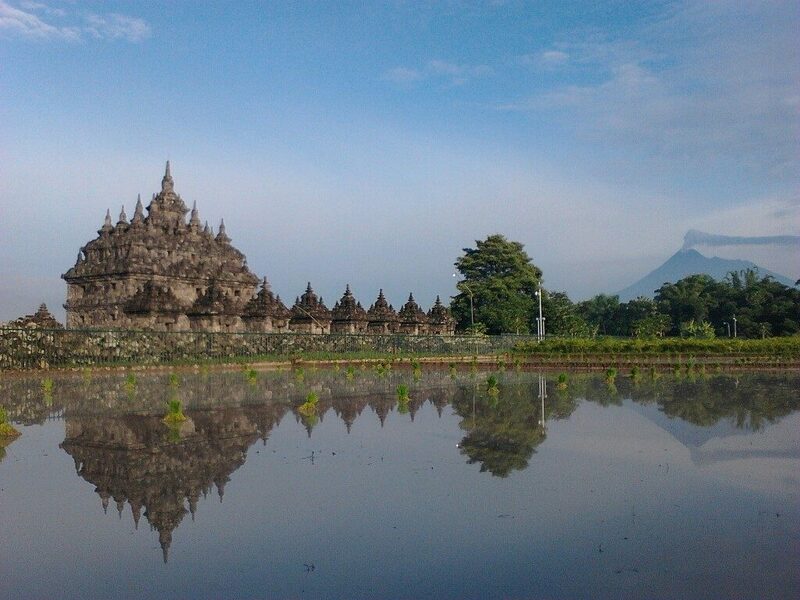 On the highest point of the complex, we can find the view of Borobudur temple and Merapi Mount. This place has a special structure, diverse from other temples around Prambanan. The ticket price is also more expensive than the other places. There are some packages applied in this place, such as students, sunset package, Boko – Prambanan and foreign tourist package. The ticket price is about 25.000 to 45.000 Rupiahs/person. You can come to this place by a private or public vehicle. Second place near Sewu temple you can visit is Lumbung Temple. This place is located in the complex of Prambanan. This place has 1 main temple with 16 perwara temples. But unfortunately, we can’t find any statue around this temple due to the irresponsible people that stole and damage the statue. The ticket price is around 20.000 to 30.000 rupiah/person. You can reach this place by public and private vehicle. You can take an exotic photo in this place. You even can take some pre-wedding photo in these sites. You can also read: Best Places to Visit in South Tangerang for Your Best Cozy Holiday. 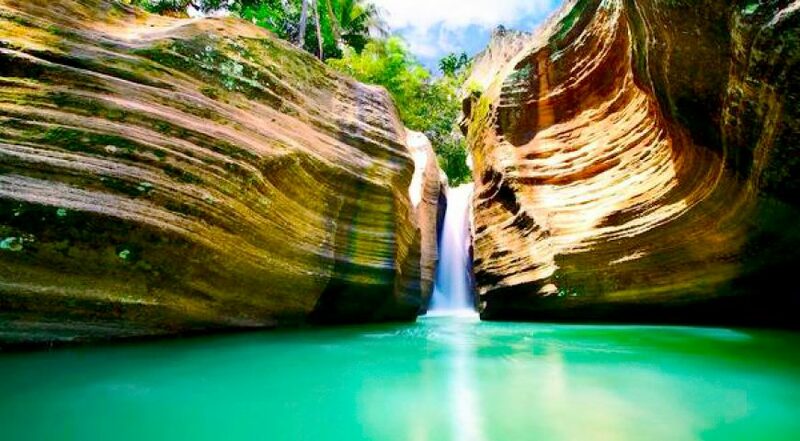 Next is a natural tourist object, a waterfall. There is a beautiful waterfall located in the boundary of Klaten and Gunung Kidul. It looks like a little version of Grand Canyon. There is an entrance ticket needed, and the access way is by feet from the nearest village. This place is located in Sampang Village, Gantiwarno Gunung Kidul. It must be a worthy place to visits since it still “virgin”. 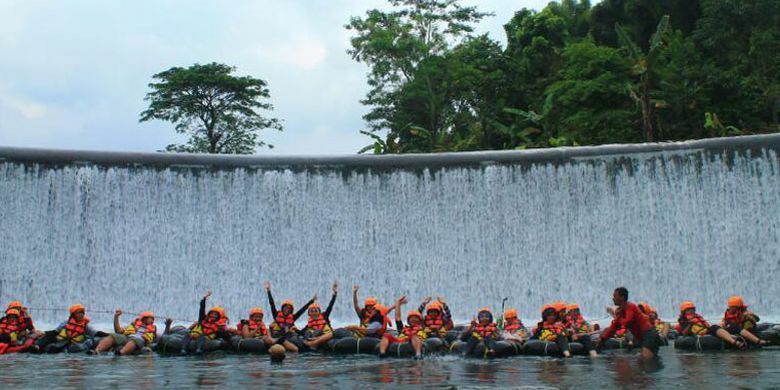 For everyone that enjoys an extreme sport, this activity in the river called Kali Pusur will be suitable. You can enjoy the river that trough 3 villages with a length of 10 km by tube. You will enjoy the beauty of nature and also the fresh water that flows around you. The ticket price is considered expensive, around 150.000/person. You can reach this place by private vehicle or rental vehicle. The next is Merak temple that also near from sewu temple. This temple is an exotic temple located in Dukuh Candi, Karangnongko VillageKarangnongko, Klaten. This place is popular for its exotic view and sunset that can be enjoyed. There is still no certain ticket price to enter this place since this place is not as popular as the other temple like Borobudur and Sewu temple. There were a lot of peacock’s nests around this temple when this temple was discovered in 1925. So, the inhabitants name it Merak (Peacock) Temple.you can access this place by car or motorcycle. 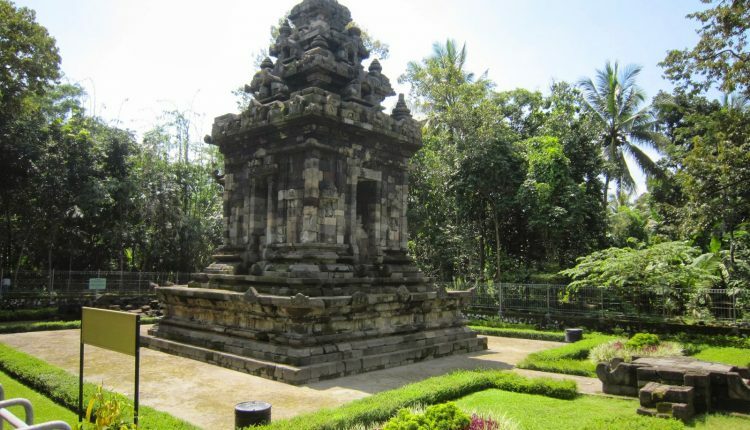 Another object that can be visited is Plaosan temple that located near the sewu temple. This temple has its own unique thing. This temple was built by Rakai Pikatan. There are two temples that identically same, that also known as the twin temple. This place has its own exotics view, from the structure and the sunset that give another exotic effect of the place. You can get an extra beautiful photo if you take the temple and the sunset as the background of your photo or pre-wedding photo. The ticket price is also cheap, around Rp.3.000/person. There is also another place around the sewu temple such as Jolotundo bathing place, sugar museum,Prambanan temple, umbul ponggok and many more. Well, that’s all the best things to do near Sewu Temple, Yogyakarta Indonesia!